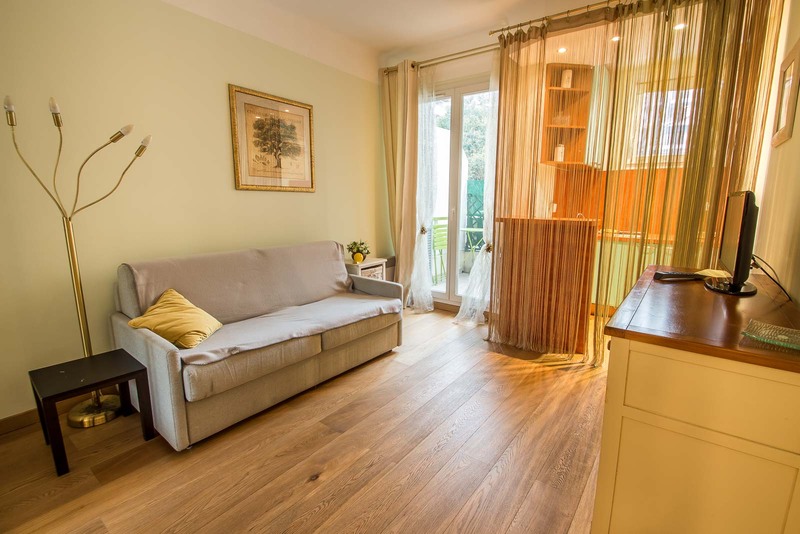 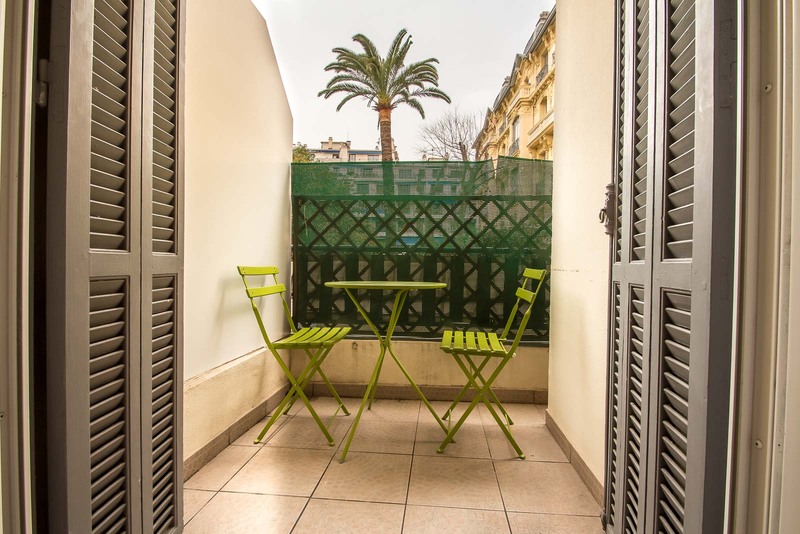 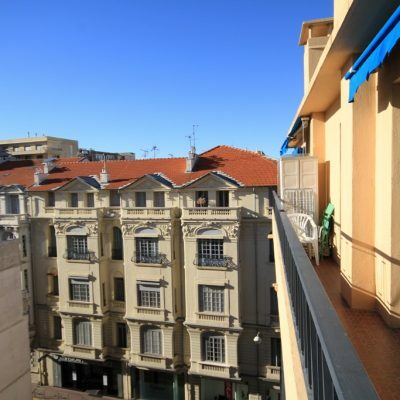 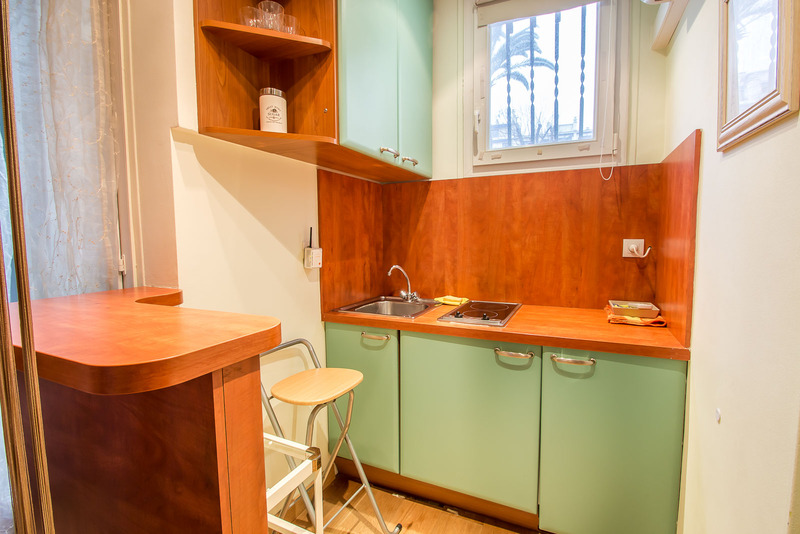 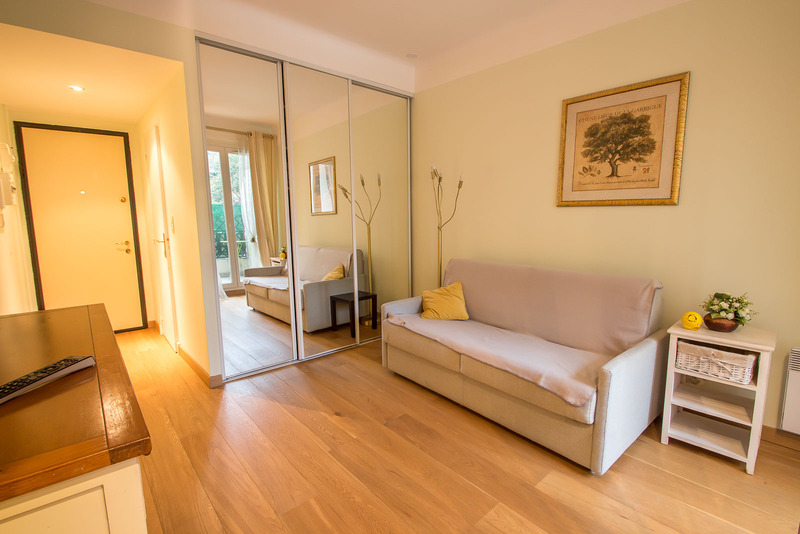 This apartment is on Rue Halevy, a minutes walk from the Promenade des Anglais, where the casino and the Meridien Hotel is, and from the beach. 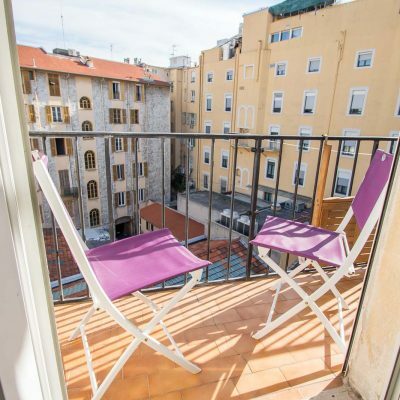 Though located right in the heart of the bar and restaurant district, the balcony looks onto the rear of the building which offers a nice interior courtyard. 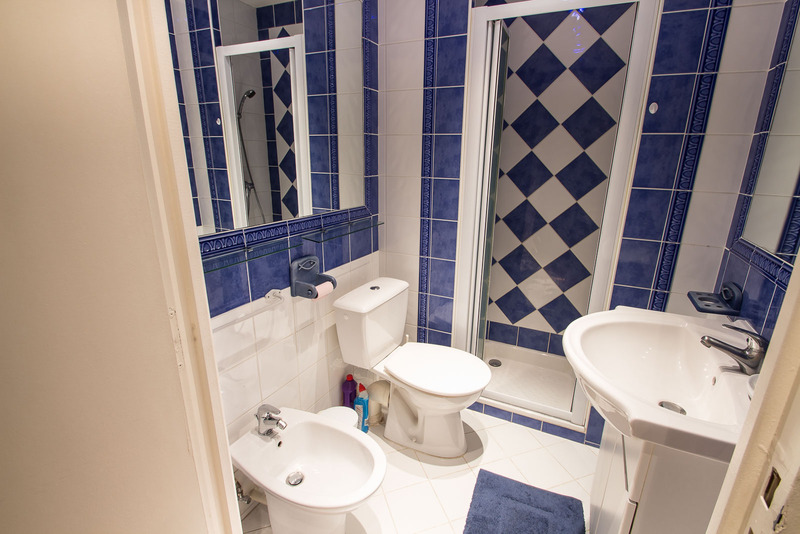 The studio is in excellent condition, as are the common areas of the building.